Enzymes are the one kind of protein. 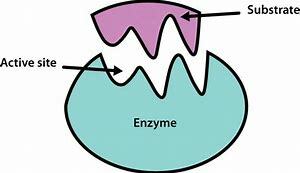 Enzymes are used as a catalysts in the chemical reactions. These are one of the biological molecules. So enzymes are affected by temperature, pH, chemicals and pressure of the cells . Enzymes are divided into six categories according to the type reaction catalyzed. Such as: ligases,oxidoreductases,transferases,hydrolase,lyases and isomerases. Enzymes are very essential for digesting food,respiration,muscle function and nerve functions etc. The "Lock and Key "model is used to explain the enzyme's functions. An enzyme's active site is a specific shape, and only substrate will join into it. This process like a lock and key. After few years, this model was updated with new information. That model is called the induced -fit model. In this model, the active site changes shape as it interacts with the substrate. Once the substrate is fully locked in and in the exact position,then the catalysis can begin.